Richard J. asks, What does it mean when theologians say, "we are made in the image of God"? Does it mean we look like God? Last week, we saw two Protestant and a Unitarian responses. 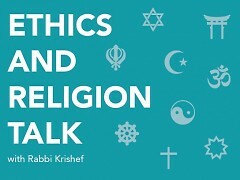 This week we continue with Orthodox, Catholic, Hindu, and Jewish responses. 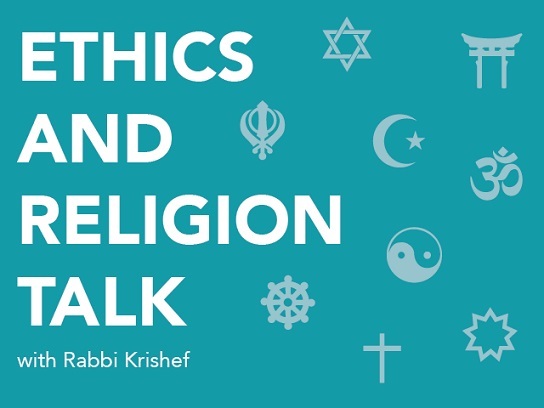 “The foundation to this philosophical question is from Genesis 1:26, which reads, ‘then God said, let us make humankind in our image, according to our likeness…’ (Biblical Translation: New Revised Standard Version). Human beings are made up of two parts, body and soul. The soul is what gives human beings the ability to think, to reason, to know, and to act accordingly. In other words, human beings are capable of self-knowledge, of self-possession, and of freely giving of ourselves and entering into communion with other human beings. Of course it does not mean we look like God! The theological conundrum is to puzzle out how we are created in the image of God, not to demonstrate how God is created in the image of human beings. The bible is full of descriptions of God’s human-like body parts and very human emotions because metaphor is the only way we can speak of God. When Genesis speaks of ‘image of God,’ the context suggests a clear definition. The verse continue by giving human beings the unique quality of mastery over the the earth and everything in it. Human beings have a bit divine-like power to control the earth; to herd and train certain animals to work for them, to cultivate crops, to transform the raw material of the earth into materials to build and power human civilization. The Sabbath commandments are specifically intended to remind us that our mastery is limited. Another possibility for the meaning of creation in the ‘image of God’ is based on the familiar Garden of Eden story in the following chapter of Genesis. Judaism does not believe that the sin of Adam and Eve introduced a permanent stain on humanity. In fact, when God banished them from the garden it was only because they had taken a step towards becoming like God and if they had stayed in the garden, they might have also eaten from the tree of life and lived forever (like God). It seems to me that God created human beings in God’s image, with the ability to make choices with complete free will. The expulsion was an inevitable consequence of being created in the image of God.